During the summer, there are certain things that you just don't want to do. Heavy makeup is one of those things. It's just too much, but sometimes some people may feel more insecure about the condition of their skin. Because of that, I'm going to focus some posts on my own personal beauty motto: perfect the base and the rest will follow. It also continues on with the same sort of theme of my last post about eradicating shaving rash and ingrown hairs to help reduce insecurity, but in this post we're going to be looking at the face and creating the bright, clear, fresh base to help you feel more comfortable and confident to strip back the makeup. When it comes to facial exfoliators, there are two types: a scrub and a liquid, chemical exfoliator. The Omorovicza Refining Facial Polish is a gentle face scrub that is also a peel. It’s like the best of both worlds, but at the same time it is also the texture of a cream. It contains Hungarian Moor Mud from a thermal lake just outside Budapest which is rich in minerals, as well as lava stone to remove dead skin cells, but as it is so gentle it is suitable to use even on sensitive skin. It also contains Lactobionic Acid which acts like glycolic acid, minus the irritation, and Exotic Fruit acids to plump the skin for a more youthful appearance. 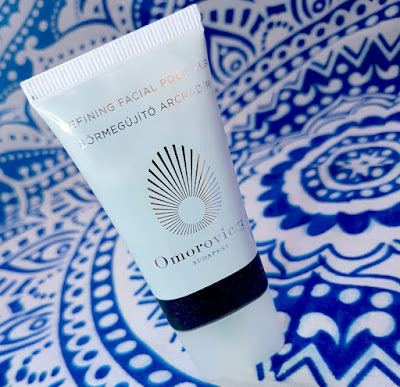 If that wasn’t enough, it is also enriched with Hungarian Thermal Water, Omorovicza’s patented Hydro Mineral Transference delivery system (which helps the thermal water to be absorbed into the skin to maximise its benefits), micro-algae for radiance and Cooper Gluconate as an astringent and to control sebum. So, a bit of a hard worker, then!? The scrub itself is dark green in colour and it comes bottled in a white and transparent tube that holds 100ml of product (I have a smaller sized 30ml tube). It also has a nice, earthy type of smell to it. Hair Removal - No More Irritation/Shaving Rash! The warmer weather is finally coming, which means it's time to ditch the jeans and pull out the shorts and skirts. You might even be jetting off with a suitcase full of bikinis instead of outfits. All great for most, but for some of us it can cause a bit of a worry. Sensitive skin and hair removal are two things that don't always get on very well, leaving some people feeling either self conscious or low. Today's post is for those who are looking for tips or product recommendations to help soothe this irritation so that you too can have smooth legs, underarms or bikini line with no irritation, ingrown hairs or shaving rash to show off during the summer. Let's be blunt from the start though - hair removal isn't a necessity. It's okay to go natural if you want to go natural. This post is not about telling you to conform to any certain beauty standards, that goes against what I believe in here on Beautifinous. This post is for those that simply just prefer to remove hair out of personal choice and would like to achieve it without the rash, itching, ingrown hairs or discomfort that can come with it. It has taken me a long time to find the right products that actually help with shaving irritation, so I hope that for those of you are still searching for a solution manage to find something within this post that may help. Also, if you have any more tips or tricks, please feel free to share them in the comments! I've split this post into sections to discuss each stage of the process in more detail: pre-hair removal, hair removal and post-hair removal. During each section I'll mention a few of my favourite products, but to make it easier and clearer I will add a list of the mentioned products from each section at the end of said section for you to purchase them if you wish. Now and then a certain product can come along and you fall in love with it so much that you end up stockpiling it out of fear of ever being without it. It's very rare that I actually start my posts off by declaring my love for a product before I actually launch into the review itself, but this is one of those occasions. Today's post is going to be about one of those products that I'm in love with and can't imagine myself without. 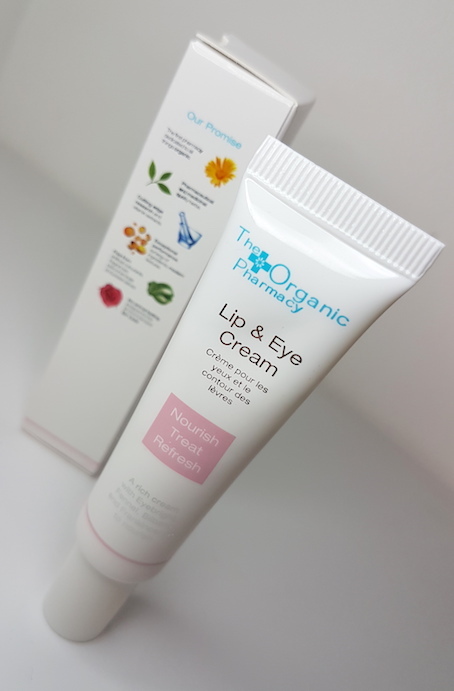 The Organic Pharmacy Lip and Eye Cream is a highly nourishing cream for both the eye and lip area. It is designed to reduce the appearance of fine lines, puffiness and dark circles under the eyes and to smooth and hydrate dry lips. It can be used around the eyes and lips, as well as on the lips as an intensive lip balm. The Lip and Eye Cream contains a blend of Shea Butter, Eye Bright, Rosehip Oil, Aloe, Fennel, Frankincense, Evening Primrose Oil, Neroli and Bilberry to reduce the signs of ageing and to make the skin look smoother and lips look plumper. Overall it is 70.6% organic. It comes packaged in a small white tube holding 10ml of product. The tube then comes in a small white box. The cream itself is rather thick and bright white.